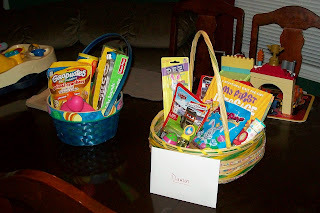 Dawson has really been looking forward to Easter morning and getting his basket of "prizes" as he calls them. 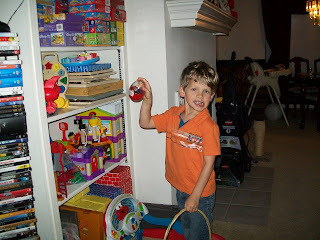 He also really enjoyed hunting for the eggs we hid throughout the house. 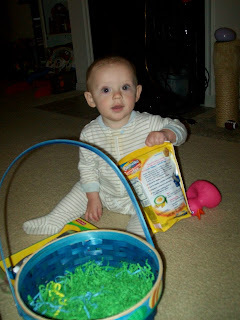 Brady is still very young and not able to participate in much of the Easter fun, but he did enjoy some baby treats and a couple of new toys. 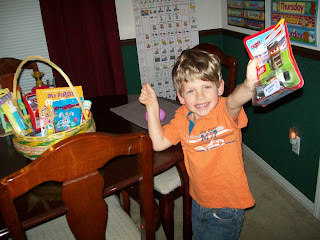 Dawson excited about a new car. 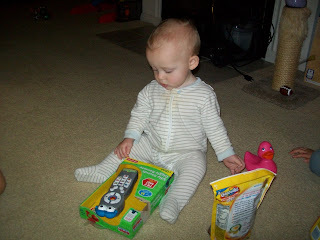 Brady checking out his Elmo remote control. Wishing he could open his bag of animal crackers. 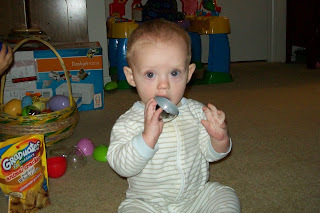 Chewing on a piece of plastic egg and looking so darn cute. 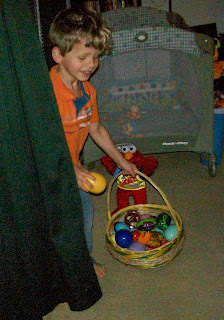 Happy to see a new little superhero in one of his eggs. 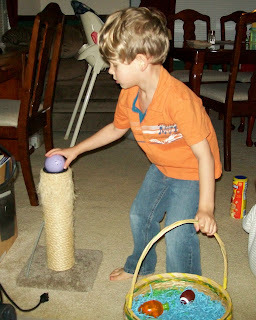 Grabbing an egg from behind the curtain. 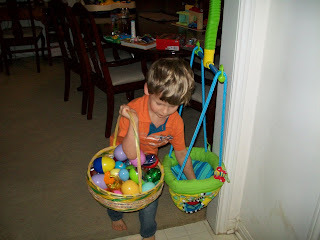 Getting an egg out of Brady's Johnny Jumper and adding it to the massive pile of eggs in his basket.